Curiosity drove about 70 feet (about 21 meters) on Thursday, continuing its trek eastward toward a science destination called Glenelg, where it may begin using its drill. This was the rover's fourth drive since landing. 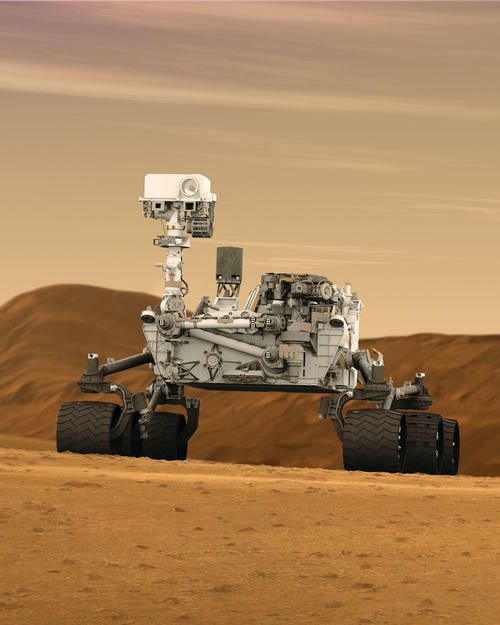 The trek to Glenelg is expected to take several weeks, including a stop beginning in the next week or two for conducting activities to check out the rover's robotic arm. The rover is healthy. Besides the drive, Curiosity's activities during the mission's Sol 24 included imaging of the sky by the rover's Navigation Camera and data collection by environmental monitoring instruments. Sol 24, in Mars local mean solar time at Gale Crater, ends at 11:19 p.m. Aug. 30, PDT.